Spice up your Market with our new 3-tier stand. 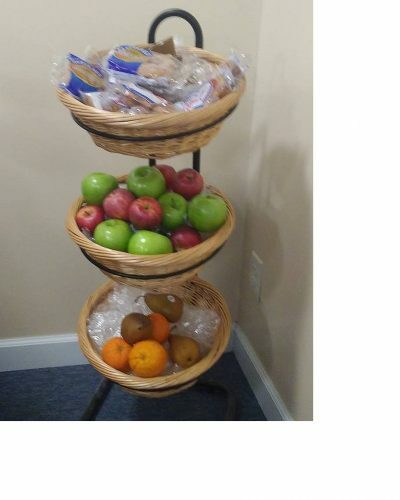 Display your fruits and packaged pastries in style. Cup dispenser unit. Stainless steel top. 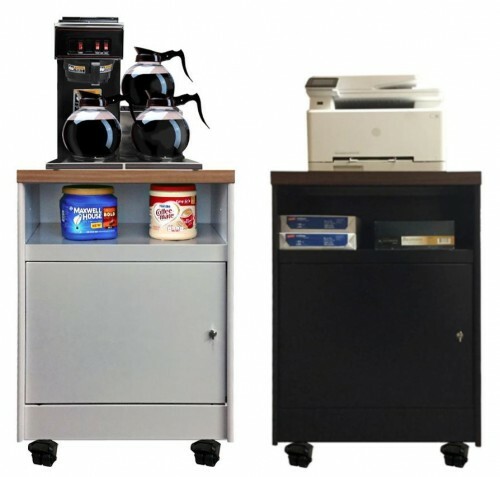 Our new line of Mobile Office Stands offer flexibility and dependability. These handsome stands will provide many years of service in the most demanding office environment. No longer just for coffee or microwaves, these versatile office stands, with double-wall steel construction and heavy duty casters are built to handle just about any office job. MOS 200-W In addition to the handy open shelf, this mobile office stand has room for a full box of paper and other supplies in the cabinet below. 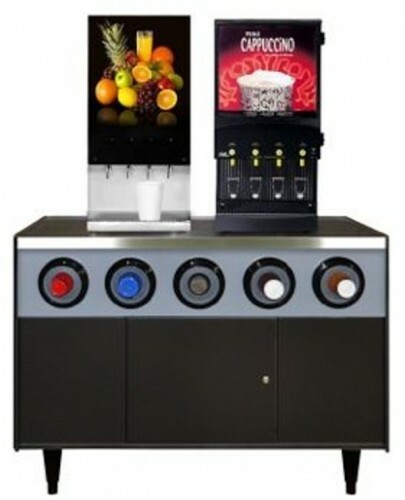 This black unit comes with aWalnut laminated steel top for looks and durability. Specifications:Top 23.25″ wide x 19″ deep x 35″ high. 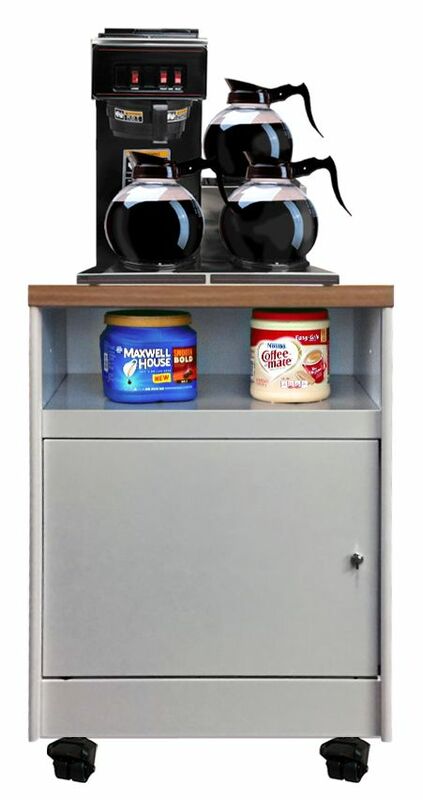 Cabinet 23.25″ wide x 17.5″ deep x 32 high, with shelf and condiment tray. The open shelf is 7 inches tall. 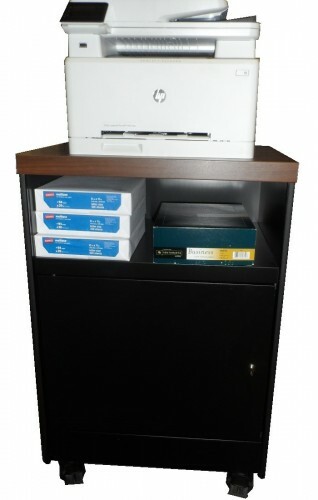 MOS 200-2-Oak In addition to the handy open shelf, this mobile office stand has room for a full box of paper and other supplies in the cabinet below. This appliance white unit comes with a Oak laminated steel top for looks and durability.